I learned to Fly-Fish when I lived in Michigan. 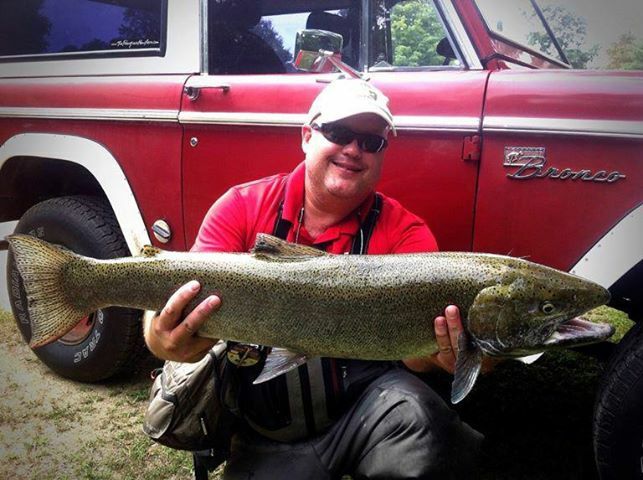 We spent alot of time up on the fabled AuSable and Muskegon river fishing for trout. I've got great memories of trips to those waters, and we caught a lot of wild trout. There is a saying in my industry that you are only an expert if you travel 100 miles from your home city...and that phrase was relevant to when I lived in Michigan, since I lived on the banks of a great steelheading river, the St. Joe. At the time, we were just interested in glorious little trout, and mostly ignored the river right in front of my nose as we drove to the other rivers. Over the past few years I wonder what I could have caught if I had spent some time on the mighty St. Joe. Well, I don't have to wonder any more. One of my long time friends still lives in that area. 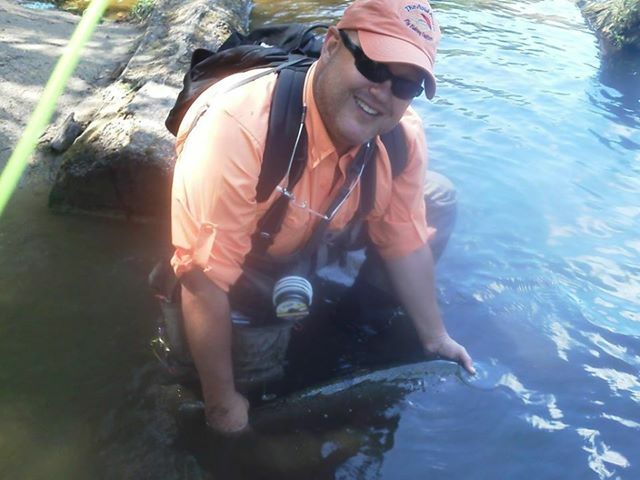 Marty has been an avid outdoorsman for years, but only recently became truly obsessed with flyfishing. I enjoy getting reports from his latest fishing success. Unlike what I failed to do, Marty is spending a lot of time fishing the Steelhead that swim in the local river. He sent me a couple of photos from the last few days which make me realized what I missed...but I'm truly glad that he is taking full advantage of the opportunity! He has quickly developed into a world class fly-fisherman! Yesterday, Marty landed a 34 inch Steelhead as seen in this photo. Amazingly, he caught the fish on a 5 weight fiberglass rod! Marty said that the fish took him into the end of his backing at least twice, but that he finally won the battle and landed the massive trout. I'm truly impressed, and glad Marty has been fishing those waters. The next time I head back, I'll make sure I stick a rod in the suitcase! Wow! Good for Marty. When are we going? GLASS IS NOT DEAD. Marty gets it, so why don't you? ZING. Thanks for sharing your friends success! Hey you up for try to catch that on a Tenkara rod? :) Great post my friend! Wow, Mike. That steelhead is bigger than all of the fish I've ever seen you land, combined! Congrats to Marty! Nice fish. I am glad to see that Marty has branched out from his Zebco/Night Crawler days.